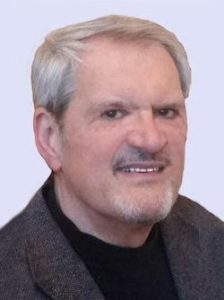 Chuck Franzetta manages a supply chain management consulting firm, which consistently demonstrates the capability of adding quantifiable value throughout the global supply chain, concentrating on growing profitable revenues for mid-market companies, in a continuously changing competitive environment. He is the CEO of Franzetta & Associates, Inc., a firm founded by him, on the principle that SCM is the most viable element affecting a company’s ability to enhance its ValueChain, primarily by growing profitable revenues. Consulting activities, since 1981, have focused on cross-functional domestic and international supply chain management, always involving cost containment but with primary emphasis on revenue growth. Chuck’s philosophy is that all supply chain projects are, in reality, opportunities to enhance the client’s marketing success. Those current and past relationships span a clientele including top ten global and mid-market manufacturers that supply products ranging from metals and plastics to grocery products and a variety of consumer products, as well as transportation and outsource logistics service providers, trading companies and supply chain technology firms. Prior to his independent consulting activities Chuck spent over ten years with Flying Tigers where he contributed to that firm’s meteoritic growth to the then number one all cargo air operation in the world. Mr. Franzetta was the youngest person to hold every position to which he ascended at Tigers. That included his role as General Manager of the Ohio Valley Division where he was personally responsible for the development of the hub trucking concept which remains the basis of expedited distribution systems in North America today. He left Flying Tigers in 1979 to become Director of Worldwide Distribution for Newsweek, where he introduced the advantages of logistics outsourcing to the publishing industry. Mr. Franzetta had a significant role in the debate leading to deregulation of the U.S. trucking industry. He testified before the Interstate Commerce Commission (ICC) on several occasions, including testimony, which ultimately led to interstate authority being granted to Roberts Cartage (RPS, later FedEx Ground). Chuck was the key witness, giving the most compelling arguments, at the last public hearing prior to deregulation of air cargo trucking which led to deregulation of the entire industry. Chuck received his Bachelor of Science degree in Logistics from The Pennsylvania State University, the top rated logistics school in North America, which he attended on a full athletic scholarship. Mr. Franzetta taught Logistics at Penn State as a part time instructor between 1983 and 1993. He served on Cuyohoga’s academic advisory committee through the 1970s and has been guest lecturer at numerous colleges including John Carroll, Kent State, Indiana, Ohio State, UCLA, Rutgers, Tennessee and many others. He served on the Penn State Libraries’ Advisory Board from 1988 to 1992. Chuck is a past AVice President of a Council of Supply Chain Management Professionals Roundtable. He has previously served as President and is currently on the Board of Directors of the Penn State Football Letterman’s Club, an association of former Penn State players and coaches. He is a frequent contributor of articles to supply chain management publications.